Extraordinary feats, record holders in this respect, hold utmost importance for India Book of Records and Asia Book of Records and their officials, staffs, who toil hard all throughout a year to come up with culmination of Top 100 most special adventures, activities and the like, names of people in their regards in their Worldkings book, which with the name of Worldkings 2018 was launched in their Indian Record Holders At World Stage 2017 gala held at Siri Fort Auditorium this year. 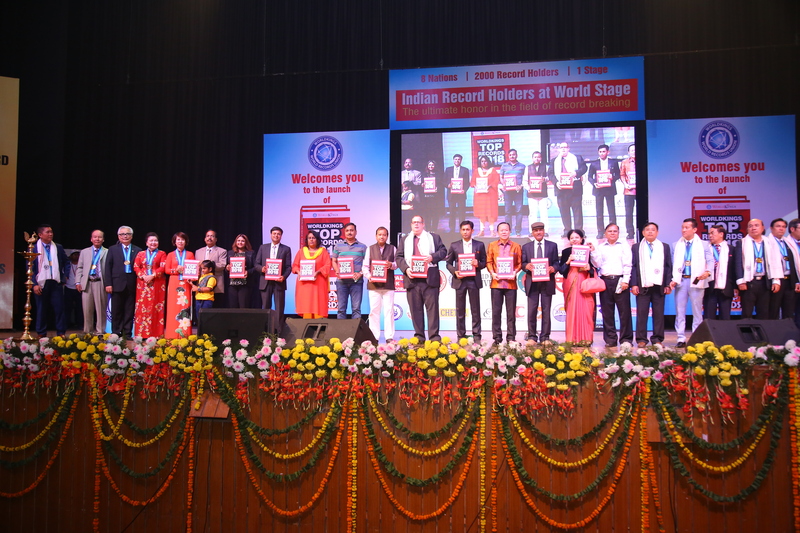 Launch of Worldkings 2018 book by Vietnam delegates, other guests from different nations and officials of India Book of Records and Asia Book of Records, present on stage during November 12, 2017 event at Siri Fort Auditorium which was celebrated with the name of Indian Record Holders At World Stage 2017 gala. 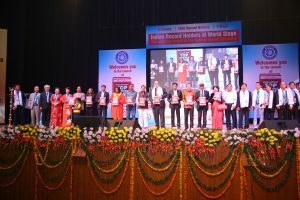 Comments for LAUNCH OF WORLDKINGS 2018 BOOK (Indian Record Holder’s At World Stage) are now closed.